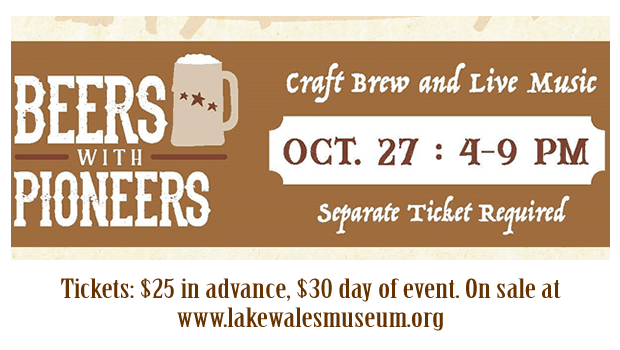 Join us for a cracker-style evening of fun with 25 specialty & craft beers, live music, complimentary tasting glass and drawing prize tickets, vintage photo station, along with domestic favorites, wine, and food from festival vendors available for purchase. Advanced Tickets are $25/person, and $30 on the day of the event. Tickets now on sale at www.lakewalesmuseum.org.